What do European vinegrowers do to combat Flavescence Dorée? From the surveys done in the Winetwork project, amongst the interviewed vinegrowers, no grande innovative solutions were found. The control of FD has always been based on the fight against the insect vector and the removal of disease focus. In fact, it is important to act with greater precision while taking into account which products to use, pay more attention to treatment timing and more punctual monitoring, as well as the possibility to induce a greater resistence in the vine (on this aspect, experiments are underway). All these practices have been implemented in various regions with a good uniformity. However it is not always easy to convince vinegrowers to systematically remove infected vines, especially since the symptoms are not always so obvious. Therefore treatments already starting in the nurseries are important. 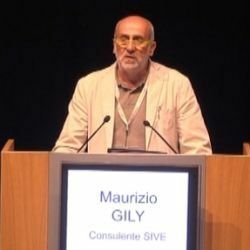 Maurizio Gily in his presentation at Enoforum 2017 summarized the different critical points that were identified during the research, such as the risk posed by wild vines or abandoned vineyards, the need to remove vines affected by the disease, the importance to intervene in areas where the disease is not yet found, the importance of timing in the fight against the vector and the various alternative treatments currently being studied.